Russian and American experts remember the tragic events of 9/11 and explain how they continue to influence our understanding of global security and stability. Twelve years ago on 9/11, four planes hijacked by Al-Qaida terrorists forever changed how we viewed the world. 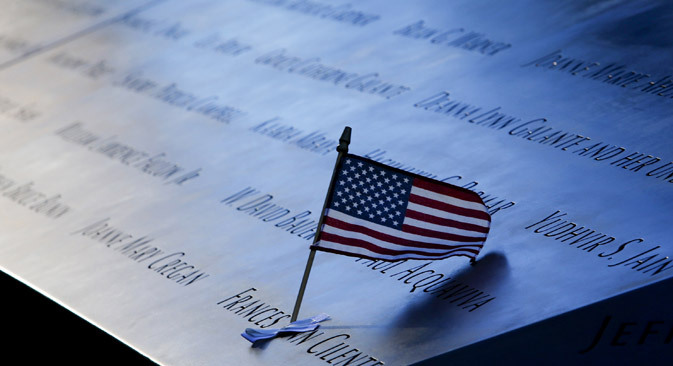 The Sept. 11 terror attack not only led to the “Global War on Terror” but it also changed our understanding of security and stability in a global, interconnected world. To commemorate the 12th anniversary of 9/11, Russia Direct interviews Russian and American experts to find out what they felt when the terror attack happened and what lessons the world can learn from the tragedy. When I found out about the 9/11 attack, I felt that something apocalyptic happened. And these feelings were related not only to the terror attack but also to its long-term consequences. Given the influence and international heft of the U.S. as the hegemonic superpower, it was pretty clear that the U.S. response should be dramatic and extremely large-scale. These events indicated that the world had changed and they destroyed the illusion that globalization brings only positive changes. On the contrary, it meant that globalization brings more controversial, heterogeneous elements as well as transnational threats that make this world less stable and less secure. The main lesson from the 9/11 attack is that one shouldn’t destabilize the fragile regions in [the Middle East] because it brings about the clash of two civilizations. Sooner or later, there will be a backlash. The second lesson is that Russia shouldn’t give up collaborating in this field with the U.S. and other countries regardless of their growing differences. And the Sochi Olympics give a good reason to step up this collaboration. Neither Russia nor the United States want the Sochi Olympics to be overshadowed by the threat of terror attacks. I hope that Moscow and Washington will have enough political will to continue the anti-terror endeavor. I happened to be watching satellite television in Moscow when the 9/11 attacks took place, so I watched it taking place along with many others across the world. It was deeply wrenching and saddening – and still is – not only because New York, where I've lived many years, is my favorite city. The trauma affected the entire country, which has yet to fully recover. Some lessons from the 9/11 attack itself have been learned, including the need to pay better attention to intelligence and information sharing between agencies. However, what happened in the immediate aftermath has had large and adverse consequences for American society and the rest of the world that are directly affecting some of the main issues facing us today. The attack enabled a drifting, unpopular Bush Administration to undertake drastic measures, including launching the unnecessary, unjustified invasion of Iraq, which had nothing to do with 9/11. That helped convert a budget surplus into record deficits, seriously undermined American standing in the world and resulted in greater global insecurity and hundreds of thousands of deaths. The larger so-called “War on Terror” was also used to justify giving government agencies sweeping powers over Americans and some foreigners, part of a culture of security that violates some of the most cherished liberties granted in the U.S. constitution. Far from helping resolve the Syrian conflict, the shadow of Iraq is hamstringing international action today. If the Obama Administration successfully negotiates its perilous path to a decision over what to do about Syria and takes action, that may do something to help the United States to emerge from Iraq's legacy. However, many other issues will remain, including the actions of the NSA and other intelligence agencies Edward Snowden has helped expose. Obama has helped to entrench these agencies instead of rolling them back, as he promised to do before his re-election. Of course, Russia and the United States should collaborate on security issues to prevent violent attacks. However, Vladimir Putin's strenuous efforts to spoil relations between the two sides have done much to minimize the effect of the little cooperation that does take place. I don't see that changing anytime soon. To find more expert comments and opinions about the 9/11 legacy, please, read the full version of the article at Russia Direct.